Greetings of peace. We would respectfully ask you to pay special attention to the special liturgy times at the Shrine during this sacred time of Holy Week. The Arch Street Band will provide all of the music for the services below, except where noted. Mass of the Lord’s Supper is on Holy Thursday at 5:15 pm. This is the only Mass on this day. I will preside at that Mass. On Good Friday, Fr. Richard Flaherty will preside at the 3:15 pm service in the second-floor church and Fr. Gene will preside at the 3:30 pm service in the first-floor church. The Friars (Fr. Joe, Br. Tony, and Fr. Damian) will do the music for the 3:30 pm service. Dramatic Stations are in the second-floor church at 11 am, Noon, 1 pm and 5:15 pm. Traditional Stations, without the Arch Street Band, are on the first-floor church at 12:15 pm and 2 pm. On Holy Saturday, we celebrate the Easter Vigil at 8 pm. This is the only Mass on Saturday. Fr. Michael will preside and Fr. Damian will sing the Exsultet. 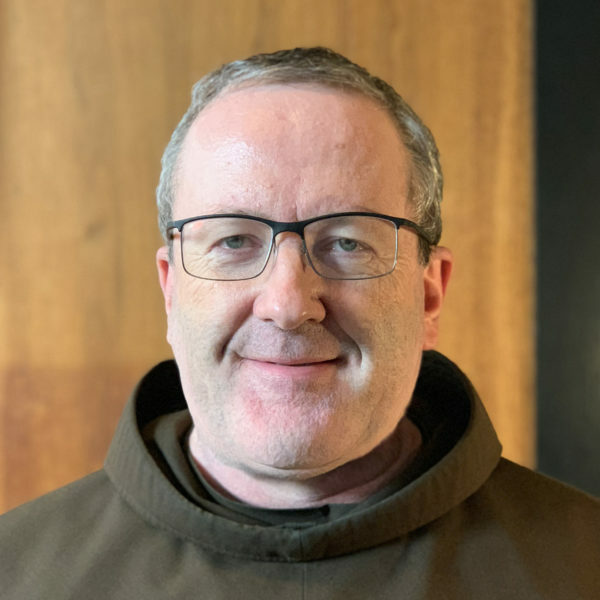 Evangelization for the Order of Friars Minor in Rome and we are fortunate to have him as a guest at the Shrine this month. The Shrine closes at 2:30 pm on Easter Sunday. I am grateful (and a little overwhelmed) by the amount of teamwork that all of these events require. Thank you all for your generosity and your cooperation.